Well we talked about it enough. Hyped it up. Told you all you should sign up to the committee, because Ardbeg Day 2014 was going to be awesome. 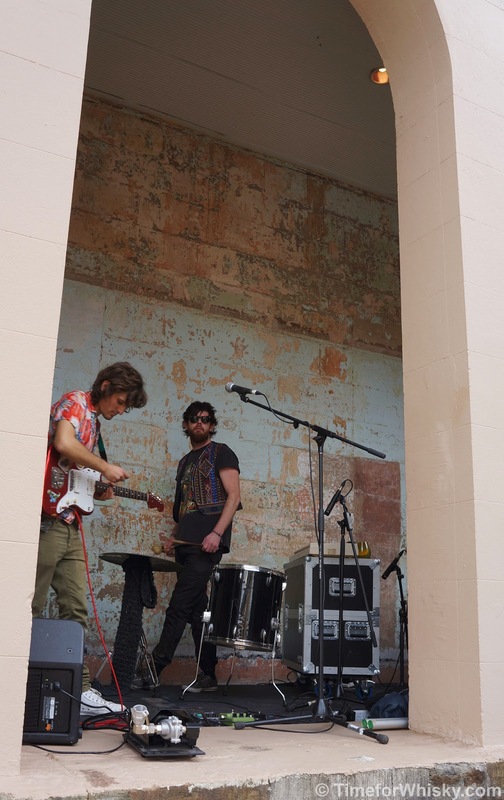 We told you how last year's was brilliant and the year before that too. 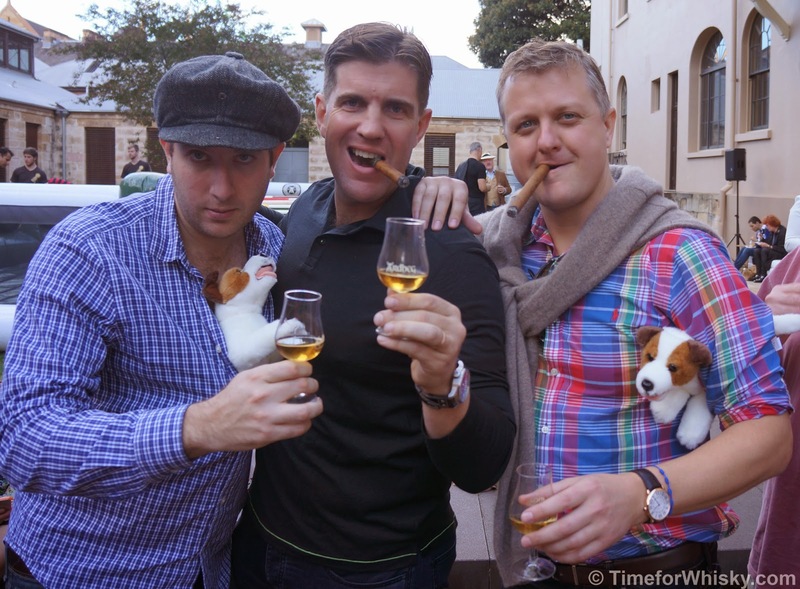 We even posted tasting notes before the big day so you knew what to expect from the whisky. ..and then the day came and went. So was it awesome? 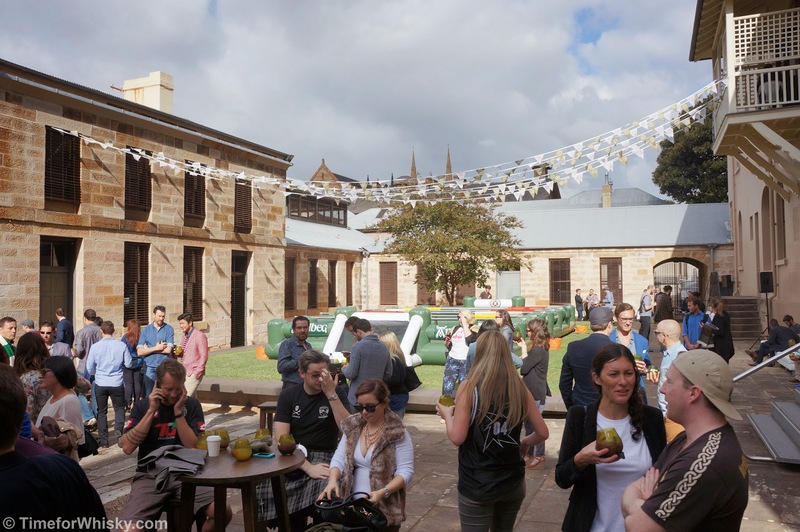 Following the tried and true technique of "take a great venue, scatter fun games around the place, give everyone a cocktail (or three), have plenty of Ardbeg on hand, make sure everyone walks away with a prize, and run a tasting of the latest limited release", Ardbeg Day (Sydney) 2014 saw Moët Hennessy Australia and EVH PR team up to take over Sydney's Royal Mint on Saturday 31st May, 2014. Arriving at midday, Steph and I were greeted by a pack of Shorties, before being offered a choice of two cocktails - "Shortie's half time" (Ardbeg 10, pear nectar, vanilla syrup, lemon juice, orange bitters and an orange wedge) or "FIF'Islay Cup" (Ardbeg 10, Acaî/Berry mix, simple syrup and mint). The cocktails were very different - I prefered the former, Steph prefered the latter. Both were great, though I still think it's hard to top the caramel/pineapple number that graced Ardbeg Day 2012 as far as refreshing, long Ardbeg cocktails go. 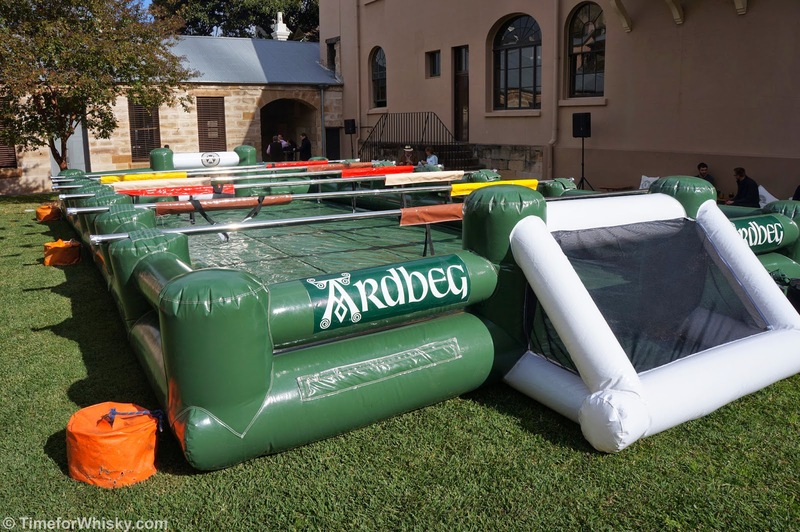 Centre stage was a giant human foosball arena (more on that later), and scattered around the venue were various games, in true Ardbeg Day fashion. 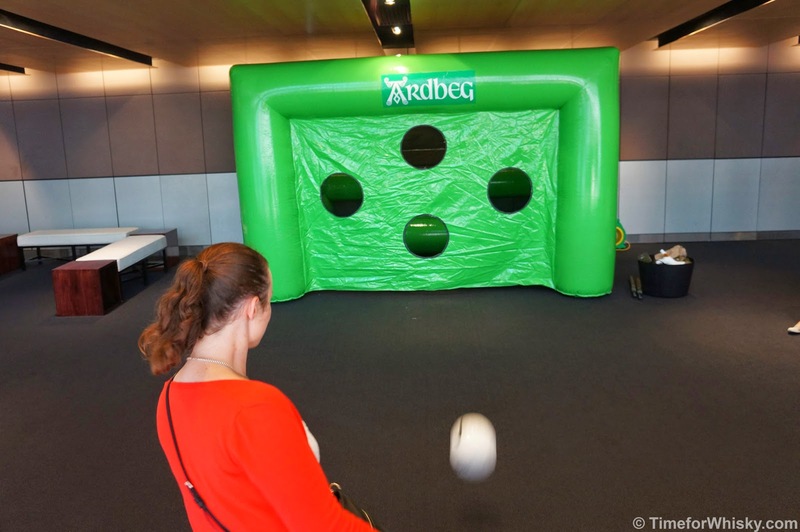 I'm not quite sure of their proper titles, but there was "kick the soccer ball through the hole", regular Foosball and "manoeuvre the soccer ball around the giant Ardbeg bottles without touching them or letting the soccer ball leave the mat". Challenging (especially with a dram in hand), but not overly so as plenty of attendees walked away with Ardbeg umbrellas, card holders, t-shirts, books, glasses, coasters and Shorties. 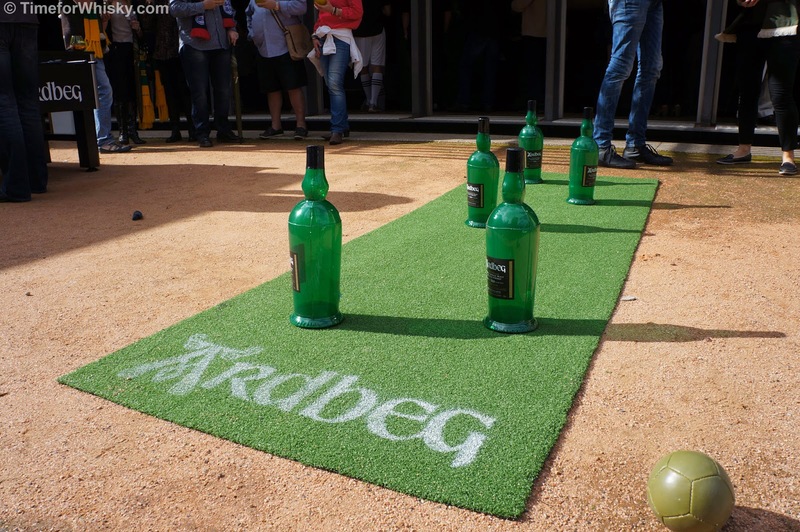 One thing you can say about Ardbeg Day - the prizes are always plentiful and quality! After a few games (best to get in early before too many drams!) 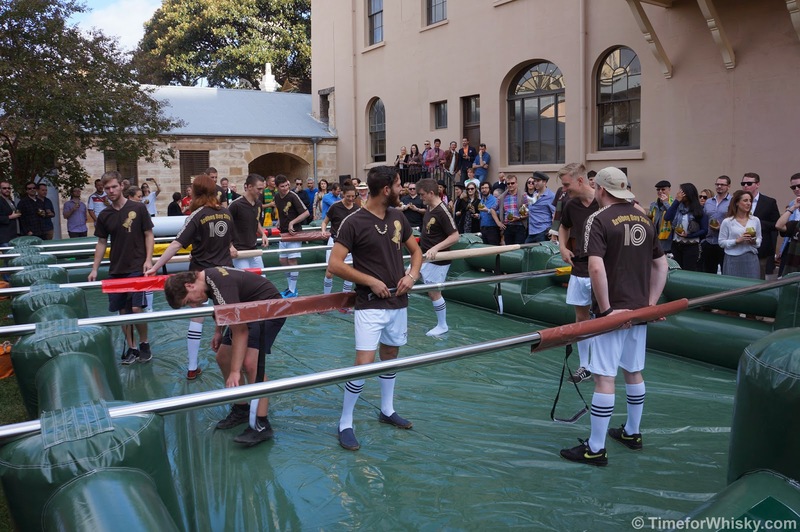 and catching up with fellow committee members, it was time for the main sporting event - a game of human Foosball, called by former Socceroo Mark Bosnich, MC for the day. Mark gave a brief introduction to the day, the whisky and Ardbeg, and whilst there was nothing inherently wrong with his speeches, it's fair to say he could have done a little preparation or pre-reading, as his eyes were glued to the script nearly the whole time, and it seemed he was reading it for the first time. Very wooden (I heard a few people mentioning this too). A minor point though, in what was shaping up to be a fantastic day. 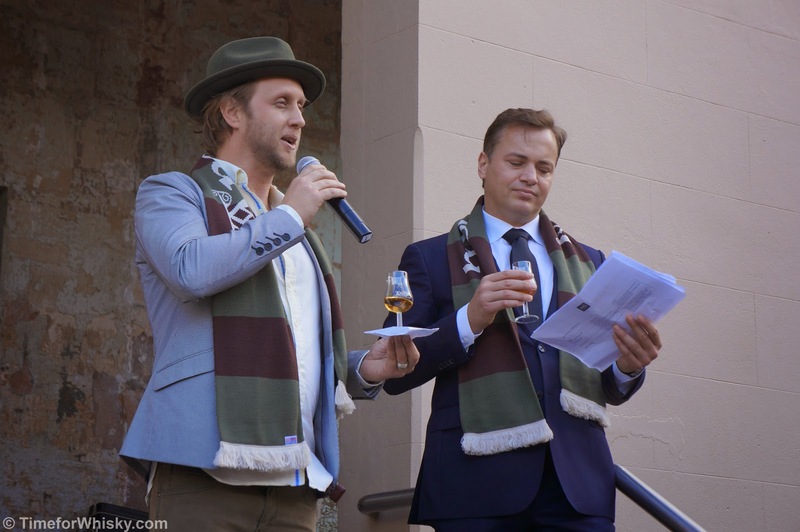 After the official game was over and awards were presented, glasses of Auriverdes were handed out for a tasting led by Moët Hennessy Australia's Spirits Ambassador Garth Foster. Steph and I already gave our thoughts back in April, but suffice to say the new release was very well received by the crowd - particularly by those who professed they typically didn't like peated Islay whiskies. If the intention behind Auriverdes was to create a more "accessible", or easier drinking Ardbeg, without losing its character, I'd say it's on the money. 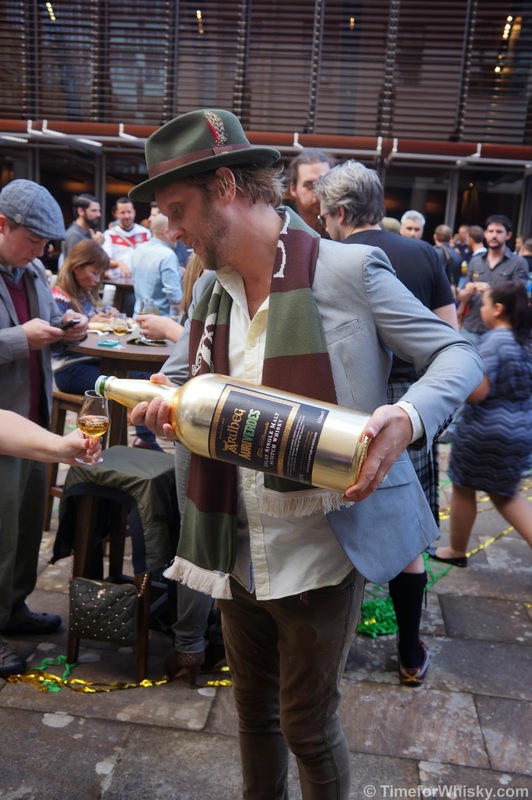 After a few more drams of Auriverdes (who could say no to trying a dram from that stunning 4.5L golden Jeroboam? 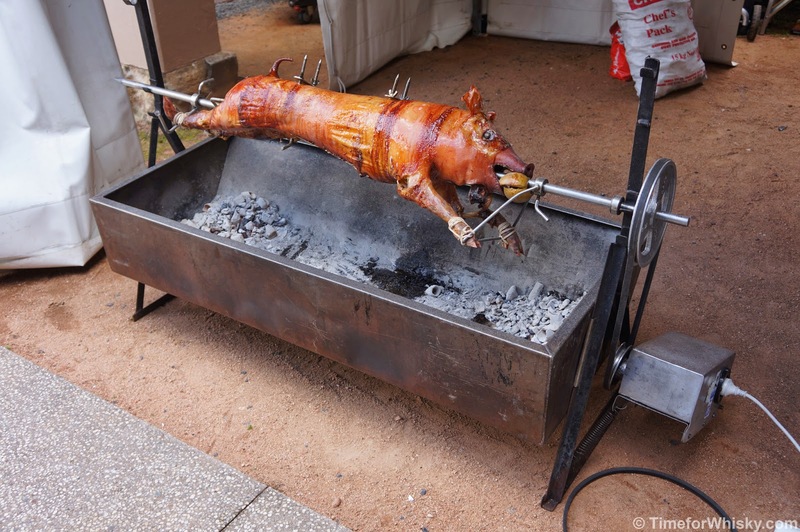 ), lunch was served in the form of a slow-roasted pig with incredible crackling. Very, very tasty. 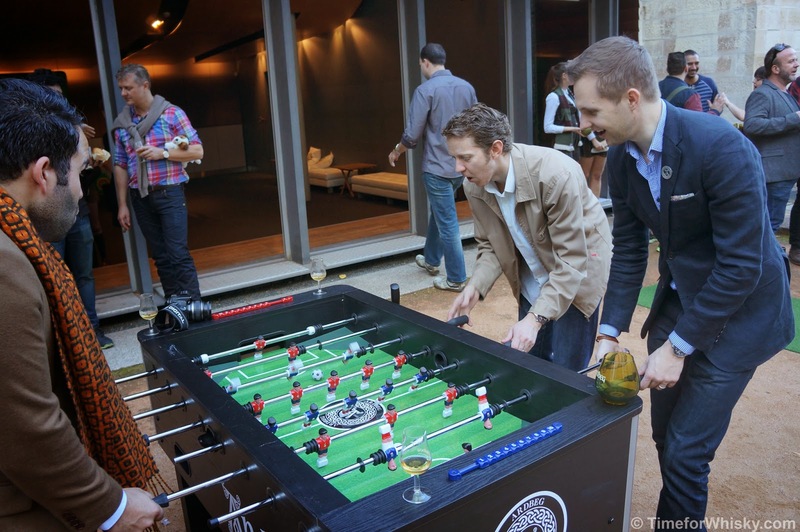 The rest of the day was spent talking whisky, drinking whisky, and generally enjoying the atmosphere...oh, and playing a lengthy game of Human Foosball with 8 other mates, whisky bloggers and Ardbeg fans! This was an absolute blast, though perhaps not the best idea to play after several drams and a healthy serving of pig. It certainly provided plenty of laughs though. 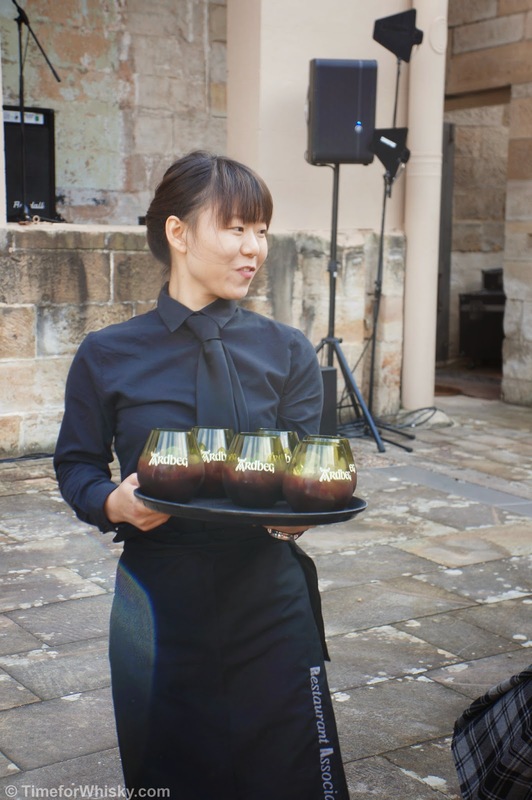 Every year I wonder if Moët Hennessy Australia can do a repeat performance, and every year they seem to pull it off with ease. 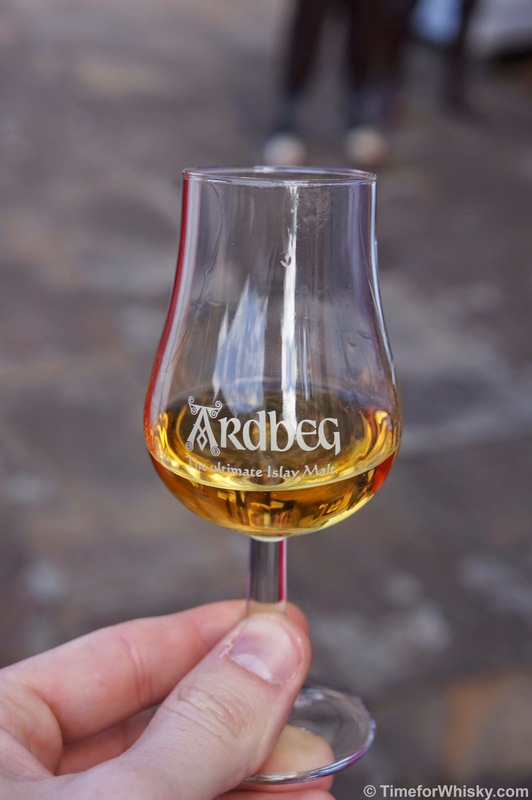 We can only imagine what's in store for next year's Ardbeg Day....just 11 and a half months to go. Auriverdes is available now for $190AUD RRP (previous advice provided to TimeforWhisky of a $135.70AUD price point was incorrect), and can be purchased directly from the new "Moët Hennessy Collection" website.